Our apples and pears are ready for picking! So please join us once again for our Pick Your Own Weekends during September. West Bradley Orchards will be open to the public for two more ‘Pick Your Own’ weekends this year, on 21 – 23 September and 28 – 30 September 2018. As one of Somerset’s oldest apple orchards, we look forward to showing off our hard work and welcoming visitors to pick from a wide selection of apple and pear varieties, each weekend of the month of September. We welcome visitors every year and encourage you to bring a picnic and spend a day at the farm; take a walk through the orchards and enjoy a family day out. There is a great selection of over 15 eating and cooking apples to choose from and three delicious pear varieties to purchase. West Bradley Orchards can be found in the heart of Somerset, the home of British cider. 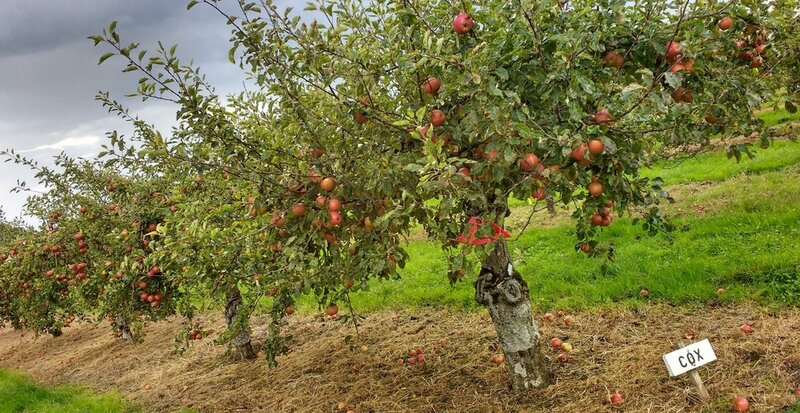 One of only three dessert apple orchards in the West Country spread over 70 acres, the farm produces and sells cider apples, dessert apples, pears and walnuts.